These before and after pictures were taken during a carpet cleaning service in Tampa FL. 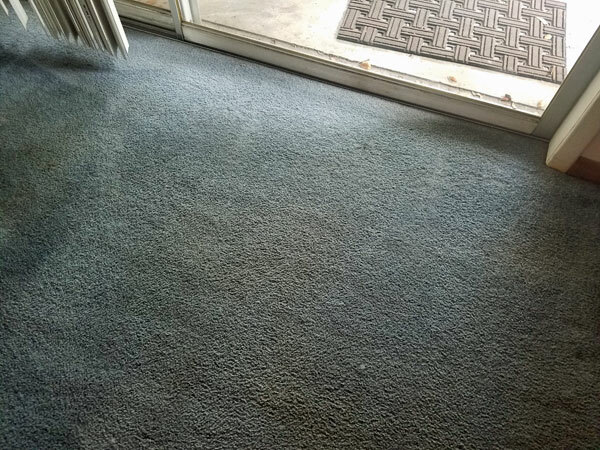 The home owner said that the carpet had not been cleaned in several years and that he called Chem-Dry of Tampa because we are a highly rated carpet cleaner in the local area. The carpet stains in the before picture are by some sliding glass doors in the back of the house. A few years back there had a really bad rain storm and the porch flooded and water came through the sliding glass doors. They tried to clean it the best they could be after it dried the carpet stains appeared. 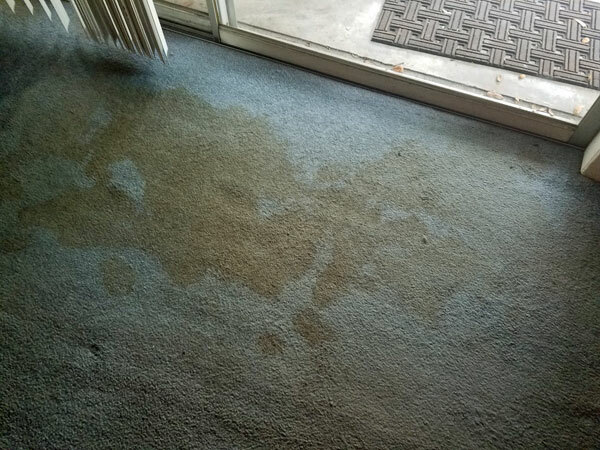 This type of stain is common after a large amount of dirty water soaks the carpet. As the carpet begins to dry out the dirt under the carpet can be wicked to the surface by the carpet fibers, leaving stains in the carpet. Wicking is a common problem that most carpet cleaners have dealt with. The biggest issue with removing this type of stain is that if you over wet the spot again the soil underneath the carpet will just wick back to the surface again. After the spots have been cleaned out the carpet has to dry quickly to keep wicking from happening. Chem-Dry has the perfect cleaning system for this type of issue. With a low moisture cleaning system with amazingly fast dry times the carpet can be cleaned without having to worry about the spots coming back. As you can see in the after photos the spots are gone and the home owner does not have to worry about them returning. Looking for carpet cleaners in Tampa FL, call Chem-dry of Tampa for a free quote.